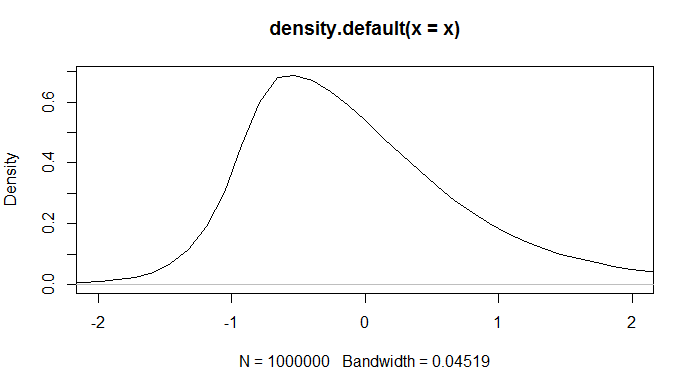 I am using the sgt package in R to recreate the plot from Hansen's paper ( available here http://www.ssc.wisc.edu/~bhansen/papers/ier_94.pdf on page 8) using random draws from the skew-t distribution. 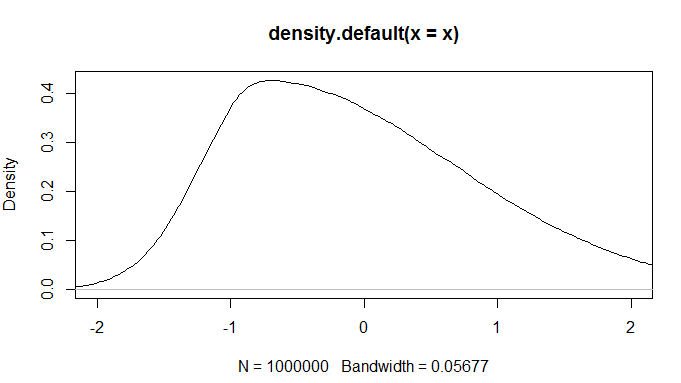 And I obtain a plot that is analogycal to the one given in the paper. However, using $\eta = 3$ or $\eta = 2.1$ (replace q with one of those values) results in much different plots, which look weird. Do you have any suggestions to how to solve this matter? Edit: I include the plots I want to obtain and the ones I can obtain. 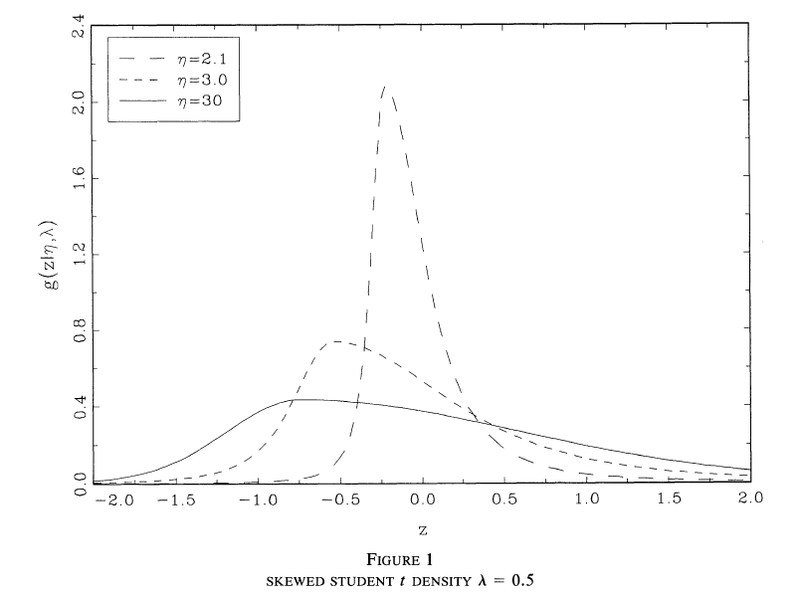 The rsgt is a skewed generalized t distribution, whereas your picture is a skewed student-t distribution. Try using fGarch package. Not the answer you're looking for? 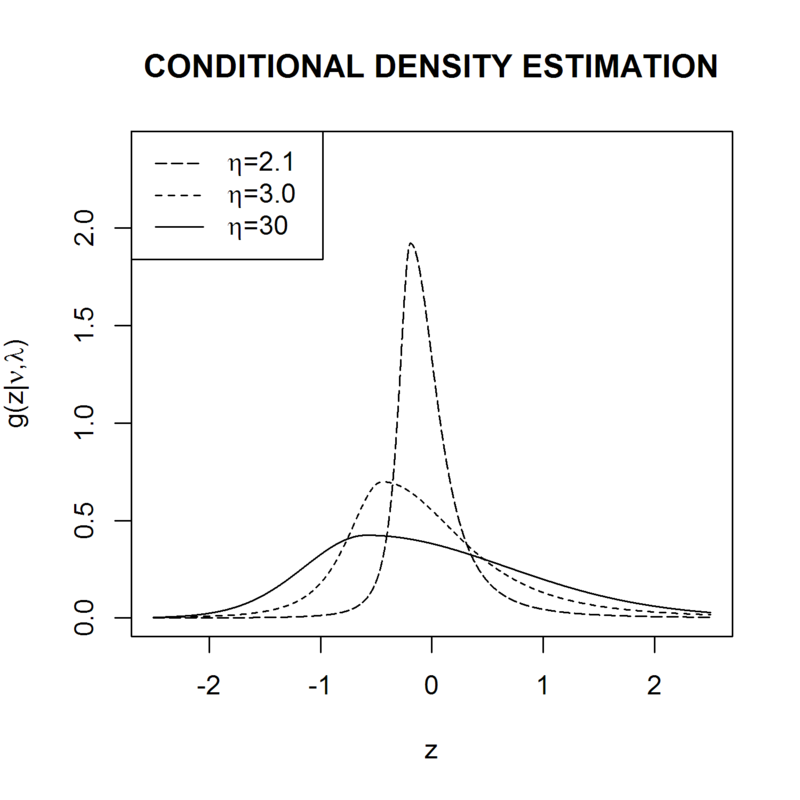 Browse other questions tagged r probability distribution density or ask your own question.